All rejoice! 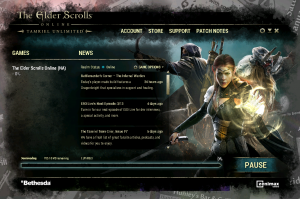 If you were a previous subscriber to Elder Scrolls Online, that means that you bought the game. If you bought the game, that means you can now play it it even if you don’t have a subscription! I loved the game, but the group of guys I game with were swayed back to Warcraft. Don’t get me wrong, I love Warcraft too, but I won’t pay for 2 subscriptions at once. Well problem solved! I can now go back and continue my playing in ESO and not have to pay any more for it. I started playing ESO the day it released, and from what I’ve read there are a lot of things that have changed since then. I’m anxious to get home from work and give it a whirl. See you on the field of battle!